We believe in the five great points commonly known as Calvinistic; but we do not regard these points as being barbed shafts which we are to thrust between the ribs of our fellow Christians. We look upon them as being five great lamps which help to irradiate the cross; or, rather, five bright emanations springing from the glorious covenant of our Triune God, and illustrating the great doctrine of Jesus crucified. Against all comers, especially against all lovers of Arminianism, we defend and maintain pure gospel truth. At the same time, I can make this public declaration, that I am no Antinomian. I belong not to the sect of those who are afraid to invite the sinner to Christ. I warn him, I invite him, I exhort him. Hence, then, I have contumely on either hand. Inconsistency is charged against me by some people, as if anything that God commanded could be inconsistent; I will glory in such inconsistency even to the end. I bind myself precisely to no form of doctrine. I love those five points as being the angles of the gospel, but then I love the centre between the angles better still. 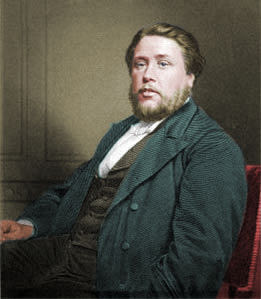 From C. H. Spurgeon Autobiography: Volume 2: The Full Harvest (Banner ed. 1973): p. 12. Is there really a "Reformed Resurgence" underway? David Murray: Is "Holy Hip Hop" holy? R. Scott Clark: "Was Paul Mean?"